Video marketing is one of the forms of marketing that takes the lead in promotional activities in virtually all social media. Why? In this article, we’ll discuss what made the spoken word and the video go from content and photos. 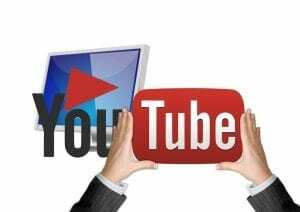 Let’s start from the beginning – so let us answer the question of what is video marketing? Video marketing is an advertising strategy whose goals are realized with the help of video content. It is based on the activity on many channels, which in the long run result in building the brand image. Another important issue is the ability to distinguish and understand the difference between video marketing and advertising. Advertising is a simple message that aims at individual actions: familiarizing the recipient with the product, interest, realizing why the recipient must have this particular product, and eventually bring it to buy. There are many ways to build ads that work on viewers, but the communication that is created at the level of the ad content is one-sided. When promoting a product and service, we direct the message to viewers without awaiting an answer – we only want to sell. It is different with video marketing, here we build relationships. Our viewers can participate in the brand’s activities and influence its further image-building activities. Recently, video marketing has penetrated from the niche to the mainstream. Currently, 33% of all online activity is based on video, and Cisco estimates that by 2021 80% of global Internet traffic will be strictly video content. Video is an extension of articles on internet portals, substitutes written instructions and, of course, serve to increase sales. The answer is simple – YouTube. That’s where all our favorite YouTube players appeared, who over time became the voice of society, creating new trends. We trust them the most because they have dared to let us into their lives. Because of that, such popular brands as: Play, Pepsi, Coca-Cola and many others use the image of YouTubers to promote their products. Video content goes to one overarching theme: authenticity. People do not always care about what products you sell. The best way to sell with video is to show the authenticity of the brand. Showing that your brand is mundane. You take care of the same goals, desires and desires as your clients. Thus, you introduce trust marketing, which becomes a huge strength. With a choice of so many of the same products, we choose those that have raised our confidence through social media communication. It’s not over on YouTube. Another social media use video marketing by introducing a story, IGTV, live on Facebook and many more. The video machine is driving and gives us more and more possibilities. Tutorials – The most popular and the most-liked form. Here we can present the problem, refer to the most frequently asked questions and indicate a solution. It motivates the discussion between fans and the brand and builds its awareness. Webinars – online trainings. A great way to build the brand’s position on the market. He presents us as specialists in a given field, who willingly convey their knowledge. Reviews and orders – the main group of recipients of such videos are customers of online stores. Before they decide to buy a product, they very often first look for all possible information about it. The videos that describe a particular subject are helpful in this case. As you can see the video acquires the power of the message, and we are more and more willing to use the possibility of recording and publishing their achievements. I wonder what the media will offer us to make the video world even more interesting. What Is The Best Way To Locate A House Roof Leak?